Thanks for reviewing our FAQs. If you have any other questions you would like answered then please call us today for a FREE Consultation & learn more about how we can help you. Can I build a dog training program into my pet care program? Yes, we have two training programs that are designed to take place in your absence. The ‘Latch-Key” program takes place in your home and the ‘Board & Train’ program that takes place in the home of a DogSmith. We can build a personalized program to meet your goals and your budget. 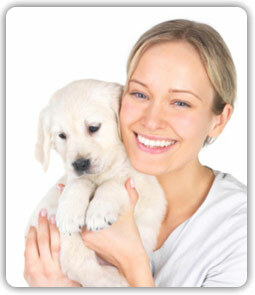 We can also build training programs around our in-home pet care services and our dog walking services. DogSmith means ‘one who expertly works at dogs.’ And cats for that matter. Each DogSmith business owner is a certified Dog Trainer and Dog Behavior Consultant. Many DogSmiths are also certified Pet Care Technicians. Which shot records should I have for my dog or puppy? For non-puppy classes all dogs must have the full sequence of DHLPP (usually an annual booster for adult dogs) and the Rabies vaccine. We also require Bordetella which is an intranasal spray. Your dog’s shot records may be anything from a vet receipt to a shot-vial sticker to a note from the breeder or a checked-off list with the shots on them. We have to work a bit on the honor system, but we do want to make sure the puppies are all safe. I can’t make it to a group class, what should I do? If you cannot make it to class then please notify your local DogSmith. In most cases The DogSmith will work with you to make up the time you missed and ensure you receive the homework handout sheets. You can also speak with your DogSmith about joining one of the DogSmith ‘Drop-In’ classes. If I cannot make it for a private training appointment, what should I do? Please cancel your private appointment as soon as possible; we prefer 24 hours notice so we can schedule other clients who may be waiting for an appointment. If The DogSmith arrives to the appointment and you have not notified them that you are unavailable then the appointment rate will be charged. My dog is very noisy, how do I keep them quiet during class? The first lesson in any group class is normally a little noisy. There are lots of new dogs and people all together for the first time, learning new skills, in a strange environment. If you have a particularly noisy dog then your local DogSmith will give you some tips and tools that you can use through class to teach your dog the ‘quiet’ cue. Please do not be embarrassed, all our dogs have funny quirks! Yes we do sell gift certificates. If you contact us you can discuss what you need with them. Your DogSmith can then print a nice gift certificate for you that you can give to a friend or family member. Purchase Gift Certificates here. I have used traditional dog training methods in the past, why should I change my methods now? Because you can! Some of the more traditional dog training methods use corrections as the main form of communication. These methods were popular before we knew as much about dog behavior and training as we know now. The dog training industry has progressed in many areas over the last 20 years. Our methods use a communication system that sets the dog up for success and then rewards them for getting it right. Think of your dog like a canine bank! Each time we make a deposit of respect, attention or affection it helps our relationship grow and bloom. Each time we make a withdrawal using punishment or hard-to-read corrections it chips away at the balance and erodes our relationship. When DogSmiths train dogs, and their owners, we want both the dogs and the owners to enjoy it. We also want training to strengthen the dog-human relationship and we want our dogs coming back to learn more with a happy demeanor and a wagging tail. Force based methods also have hidden consequences. With force, dogs learn to fear us and this can cause avoidance and escape behaviors. What is a ‘clicker’ and do I have to use one if you work with my dog and me? A clicker is a tool used to tell your dog ‘yes, you got it.’ It’s an excellent way of marking the precise behavior you want. A clicker is the equivalent to a whistle used in marine animal training. We use the word ‘yes’ instead of a clicker in many of our classes. Some people find clickers hard to coordinate with a treat bag and a leash and a dog. We can all use the word ‘yes’. We also use the lure-reward method of training; it is fun, highly effective and great when involving children into the training process. Can we bring the whole family to a private training session or a group class? What do I need to bring to a group class? A hungry dog. Please don’t feed your dog for at least 4 hours before class. If you have a highly food-motivated dog then your local DogSmith may advise you to give them half their food rations before class. You will need some very yummy treats. They should be soft and the size of a small fingernail. I recommend chopping up hotdogs, cheese hotdogs or soft liver treats for the first class. You will need a standard (non-flexi) leash and nylon collar or body harness. If you are already using a Head collar then bring that too. If you are planning on using a head collar please do not put it on your dog for the first time just before class. Your dog will spend the first session feeling uncomfortable and trying to remove it. You will need a long training line after the first week. We will use this to teach your dog a reliable recall. You can make your own from any light material as long as it is approximately 20 feet long. Please also bring a water bowl and water to class. Training makes a dog thirsty. A stressed dog can also get thirsty and don’t forget you will too. When you arrive at class please keep your dog busy until everyone arrives and class starts. Your DogSmith will advise you on the safety protocol in the first lesson. Please try to keep your dog relaxed while you wait for class to start. We want our dogs to learn to pay attention to us and not to become rambunctious around other strange dogs and people. Do you offer private dog training? Can a dog trainer or behavior consultant come to my house? We do offer private dog training classes. Private dog training lessons are available in individual lessons or as packages. If you have a dog behavioral problem such as fear, anxiety, aggression, resource guarding or other problem behavior, your local DogSmith will make an initial appointment to conduct a full behavioral consultation. After the initial consultation your DogSmith will be in a better position to advise you on the Behavior Change Program needed and how long it will take to reach your goals. Where are your dog training classes located? We have group training classes taking place at many locations and there are many options to suit your needs. Click here to see our group class options and to see which classes are open for enrollment. Does The DogSmith say they are Positive dog trainers? As it is used in dog training, the term “positive” can be very misleading and confusing to the pet owner. In the context of learning theory, the science behind how we all learn, the term positive means the addition of something. Positive reinforcement means you are giving the dog something it likes whereas Positive Punishment means you are giving the dog something it does not like. At The DogSmith we use the least aversive and minimally intrusive training methods possible. Dogs do not seek to avoid or escape the methods we use. So if you call that positive then yes, we are positive trainers. We NEVER inflict mental or physical harm on any dog. The DogSmith methods are educational, instructional, effective and efficient and most importantly they are user friendly. Friendly for the dog and friendly for the owner. Can I observe a dog training class? Absolutely. You are welcome to visit us at any of our dog training classes with the exception of our Grumpy Dog Class. If you find a dog class listed on our site then you are welcome to stop by. Please do not interrupt the class though, and let the DogSmith know you are there to observe. Also, please leave your puppy or dog at home. Please visit our Service policy page which includes are cancellation policy under the title General Policy. My puppy is deaf. Can we still attend a group class and do your methods work? Yes. If a dog is only partially deaf then we can still use the clicker or the word ‘yes’. If your puppy or dog is completely deaf then we use hand signals or a flash light to teach them the correct behaviors. If I have a puppy in my home with other, older dogs do you still recommend Puppy Class. Yes. Socialization is much more complicated than just exposing your dog to its own pack. 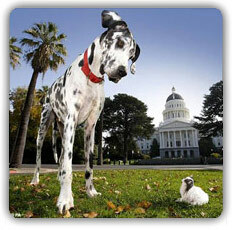 Correct socialization means ever widening exposure to new and varied objects, places, people, dogs etc. Which training class is right for my dog? This question can only be answered by your local DogSmith and will depend on your dog’s age, experience, previous training history, your goals, schedule, budget and family situation. We have a dog training program for you that offers the training you need, when you need it.